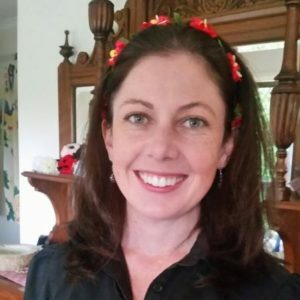 About Elyssa – My name is Elyssa Mackie and I am the owner/therapist at Massage and Soul. I have now been offering massage in the Blue Mountains for over 12 years and am still loving it. I’m passionate about helping people to feel better using natural methods. And massage, aromatherapy and intuitive services can be used with any other healing modality. No matter your state of health, there is always something that I can offer you. When I’m not working I love walking my dog, Coco, reading and writing, meditating, yoga, learning new things and spending time in nature. My signature massage style is to tailor a blend of relaxation and remedial techniques to suit your needs and I cater for couples, pregnancy, elderly or disabled, sports or corporate functions and can arrange extra therapists for groups (if enough notice is given). I am fully qualified and insured, offering health fund rebates for Remedial Massage for all health funds. I am also a member of the Association of Massage Therapists (AMT). My Massage and Soul clinic does not currently have disabled access but I can suggest a mobile alternative at a reduced rate. Please contact me if this applies. I use my intuition throughout the day, whether reading body language or tuning in to things unseen. My way of life is to combine intuition and practicality and it’s exciting to be now be offering intuitive services. I dabbled in Oracle Cards for years before picking up Tarot. Immediately, I felt a connection with the cards and the stories they told. A few years ago I became a Certified Angel Card Reader and did some l tarot study to prepare to give professional readings.